Chicago’s rainy day has me day dreaming about the crisp air in Spring, the fresh blooms, the clear skies and of course… garden weddings! I would do anything to be at a beautiful rustic garden wedding today… instead of caught in the rain. Better yet, I’d love to be at my own rustic garden themed wedding that evokes romance, love and all-things-pretty. 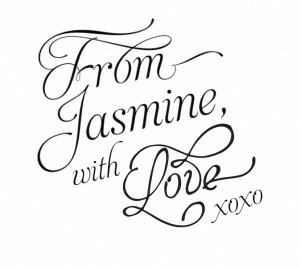 I’ve pulled some inspiration from Jasmine’s Fall 2015 Collection, B2 and Jade photo shoot. The romantically styled dresses, the striking floral arrangements, the shabby chic shutters make me want to start planning for my Spring 2020 ::my status-not currently engaged:: wedding right now. 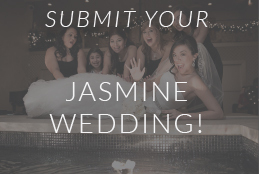 Jasmine has the styles you need to not just pull off the most romantic rustic garden wedding EVER but it will be absolutely unforgettable for you, your groom, the bridal party and all of your beloved guests. 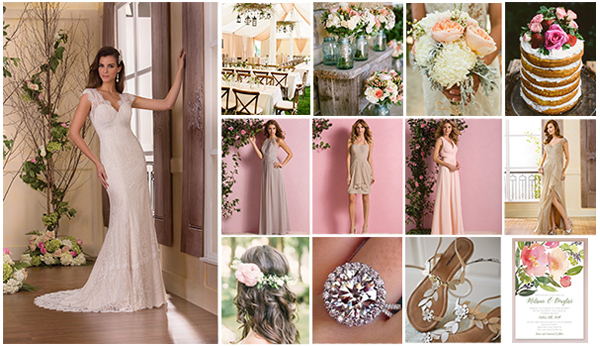 Since you are the one getting married, feel free to use my style inspiration in creating your own garden wedding! I can usually agree with the saying, ‘less is more’ but not when it comes to a garden wedding- CUE THE FLOWERS!